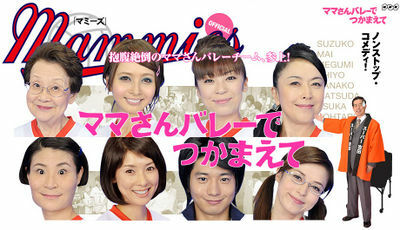 The Mammies are a small "mama-san volleyball" (middle-aged women's volleyball) team sponsored by a local supermarket, whose colorful members range in age from their 20s to their 70s. The team is led by 40-year-old Suzuko, who invites her mentor, a grandmotherly coach, to shore up their performance. However, a handsome, young man appears in an unexpected turn of events. The mothers are suddenly motivated but Suzuko troubled because she and the team's young, good-looking coach Kotaro are actually newlyweds!